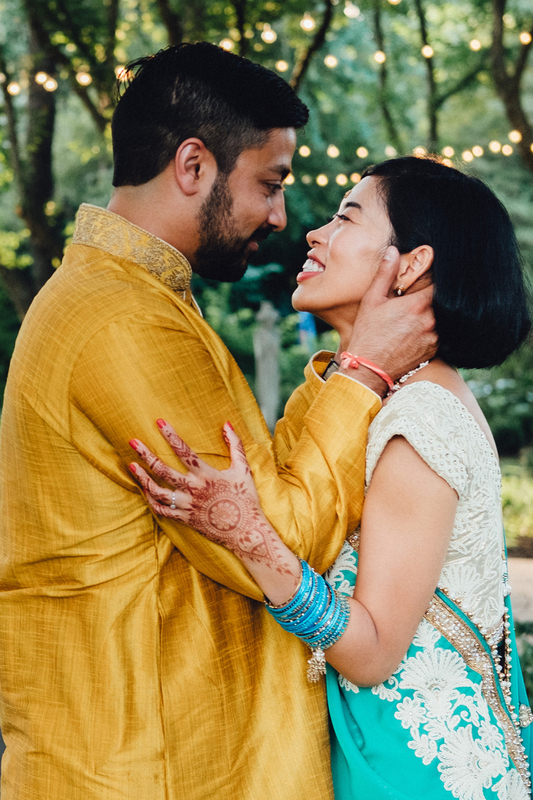 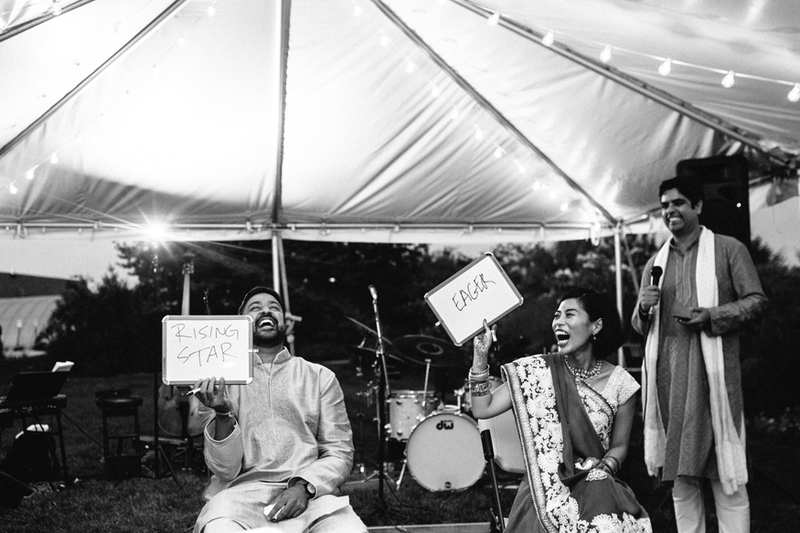 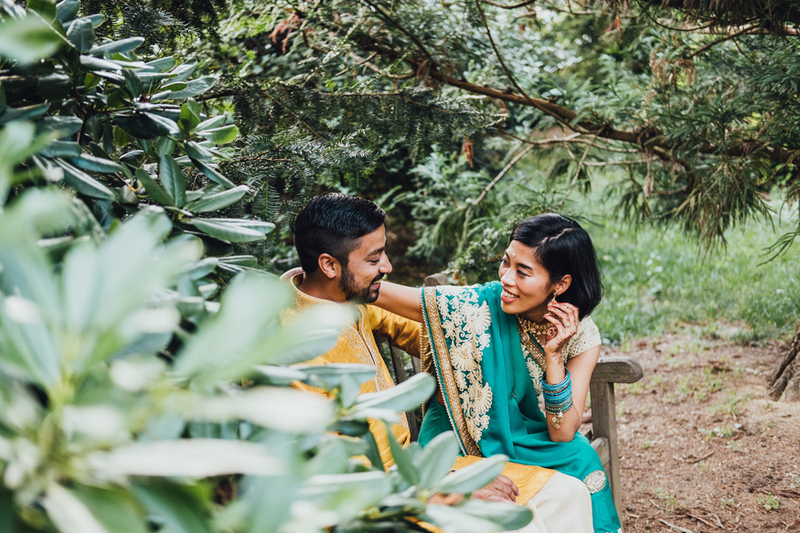 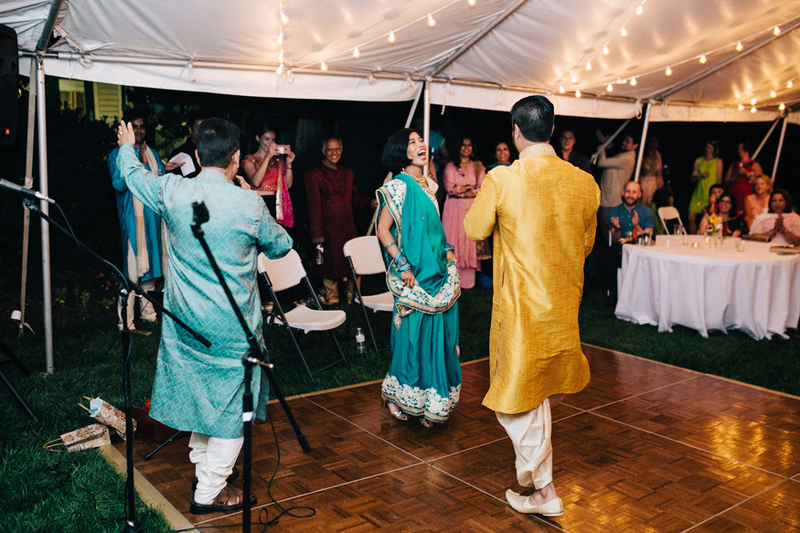 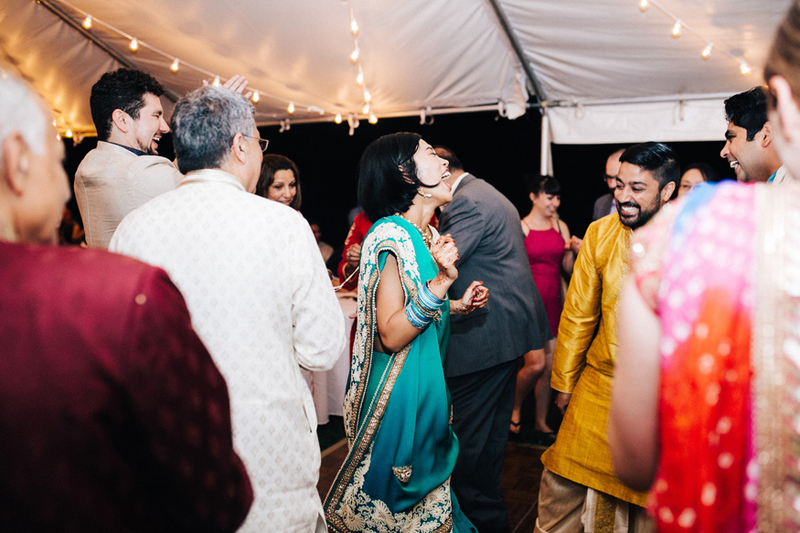 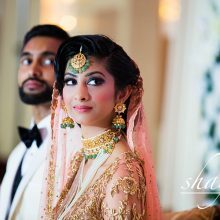 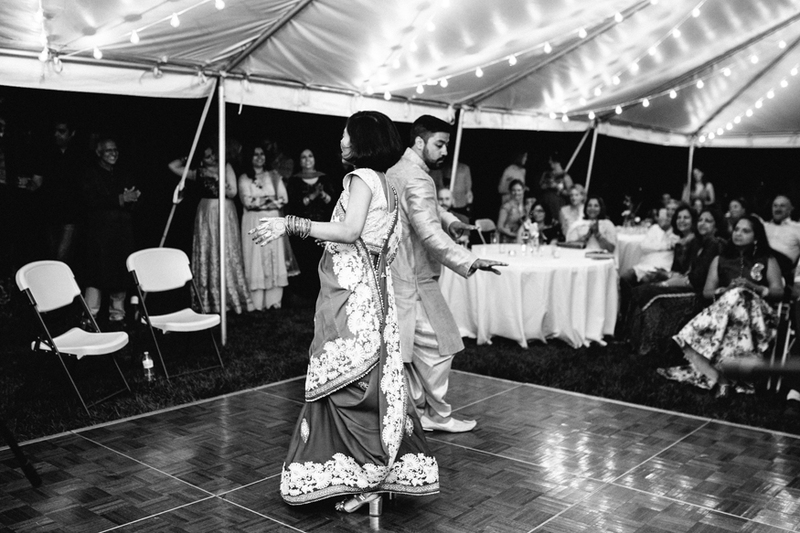 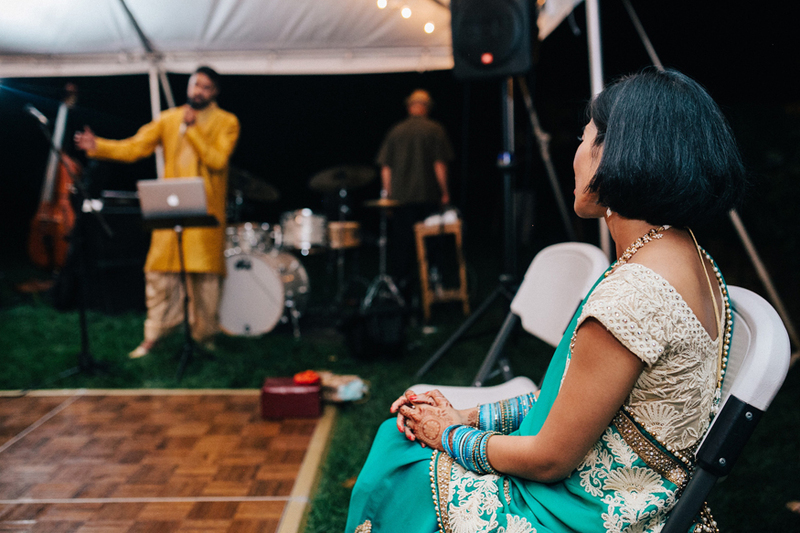 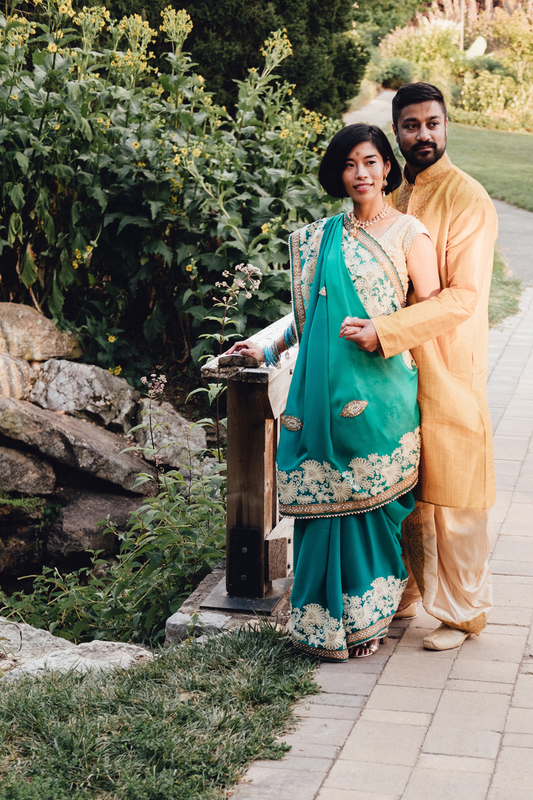 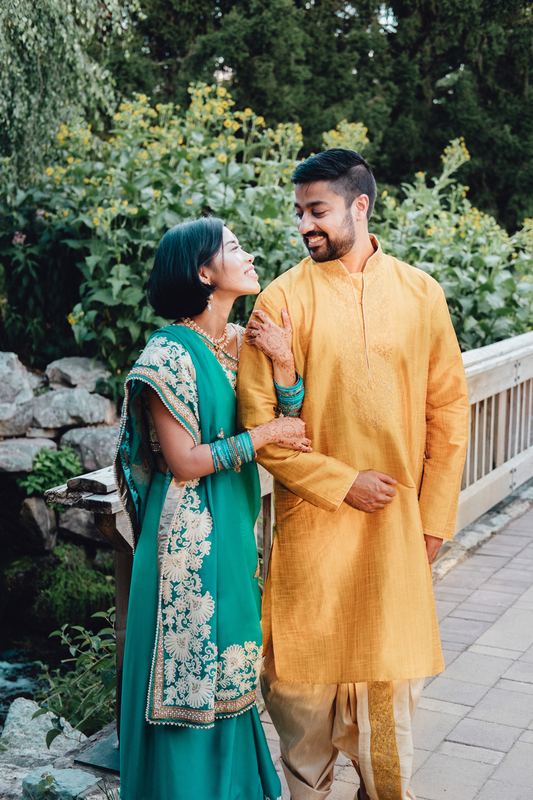 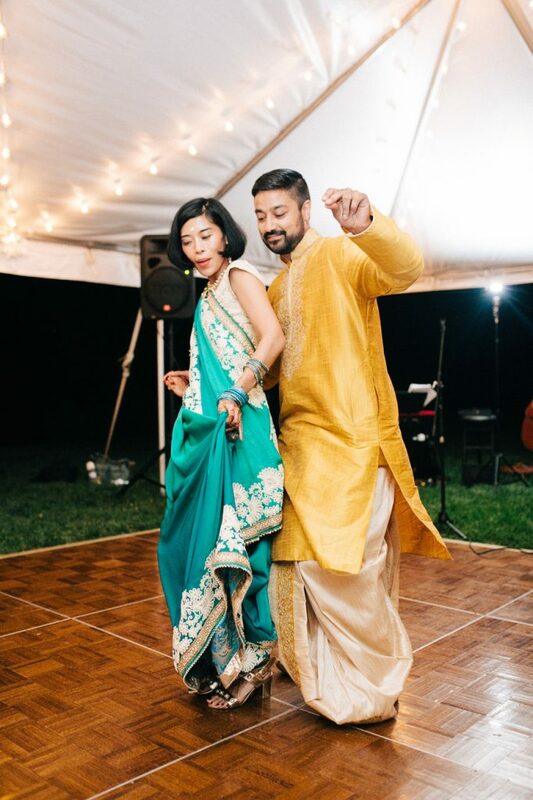 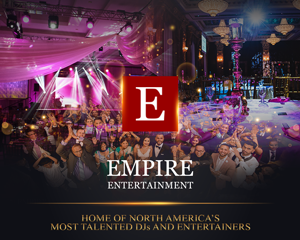 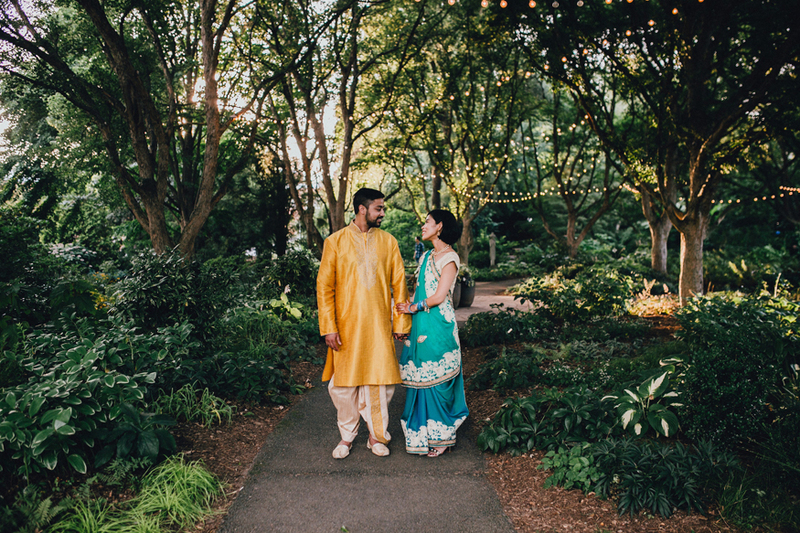 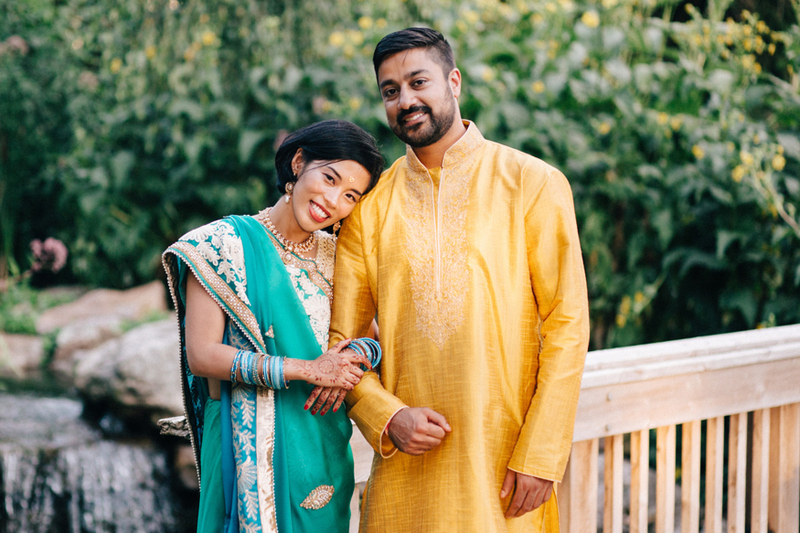 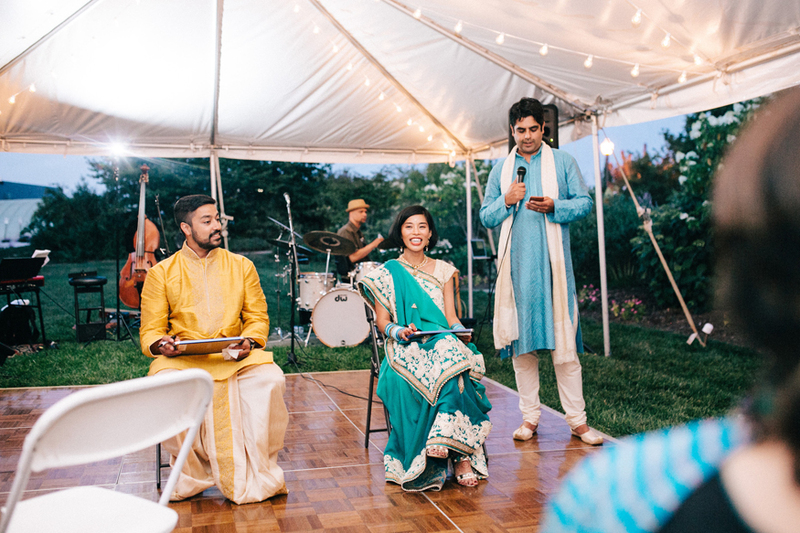 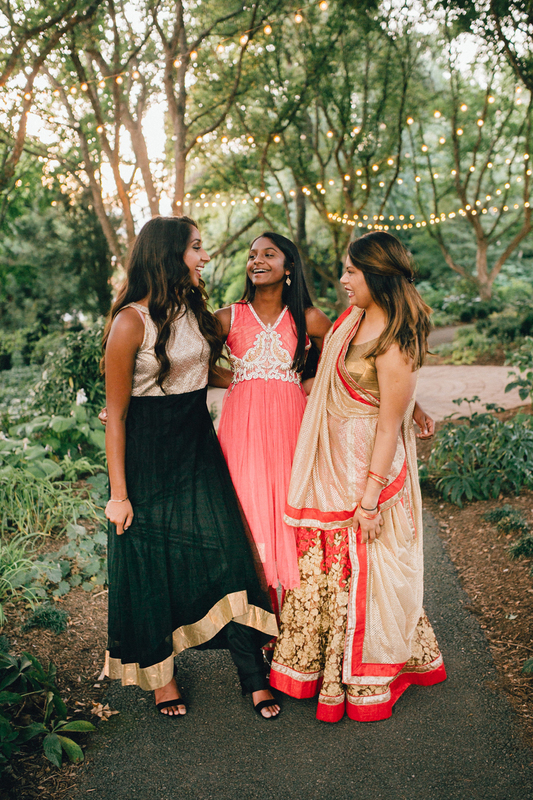 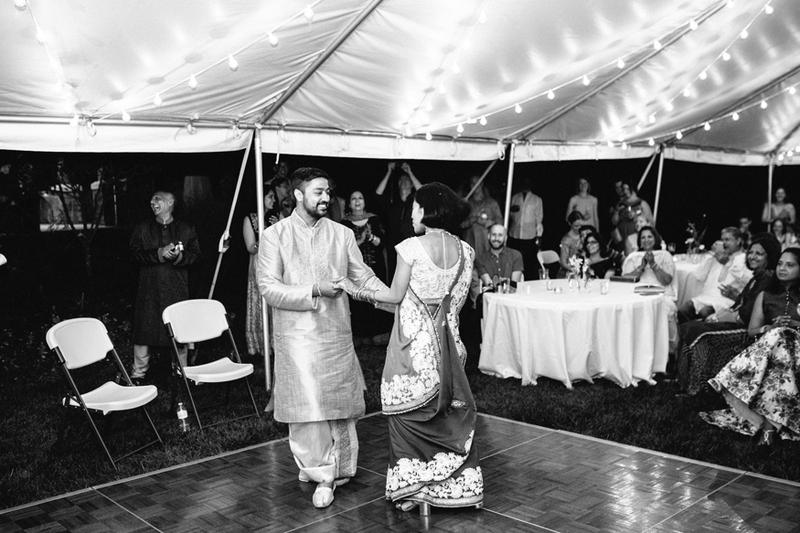 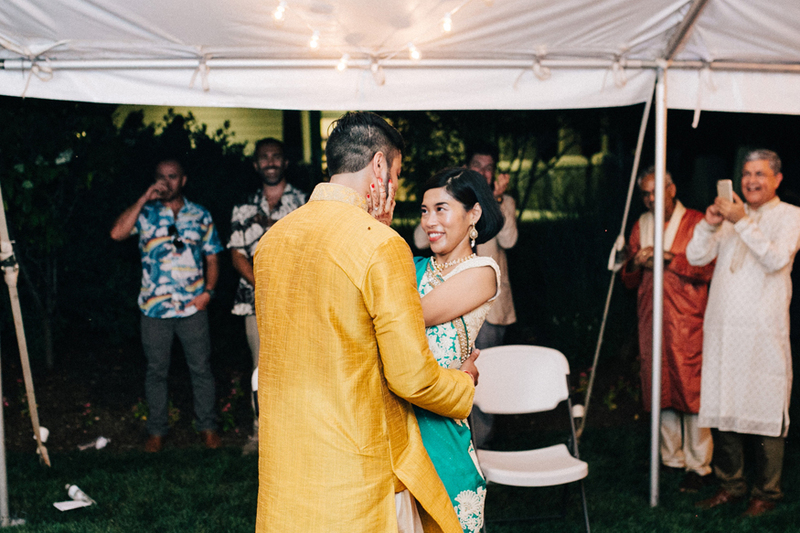 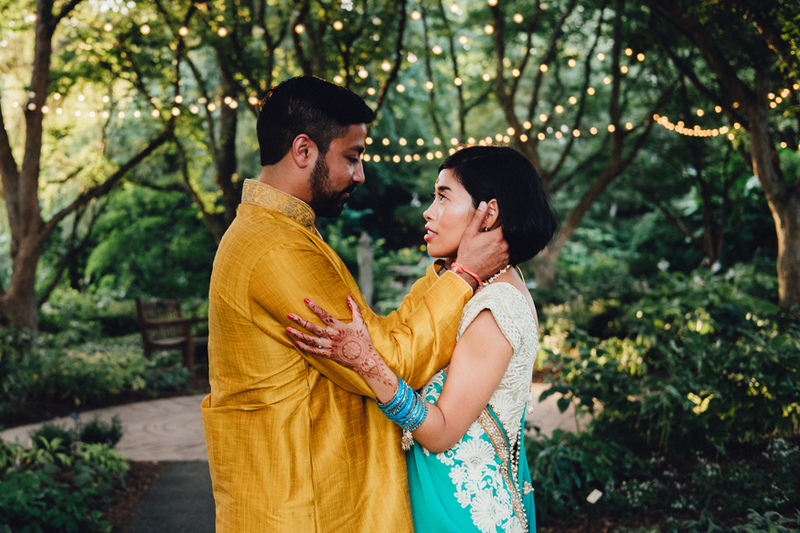 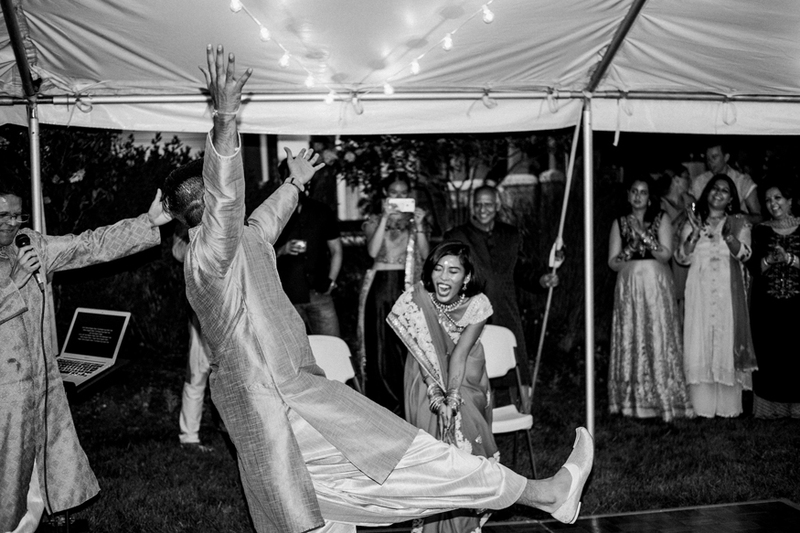 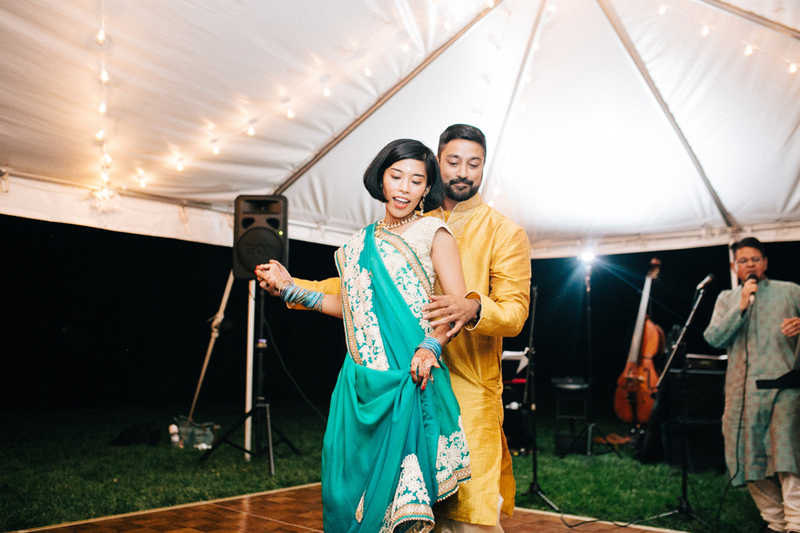 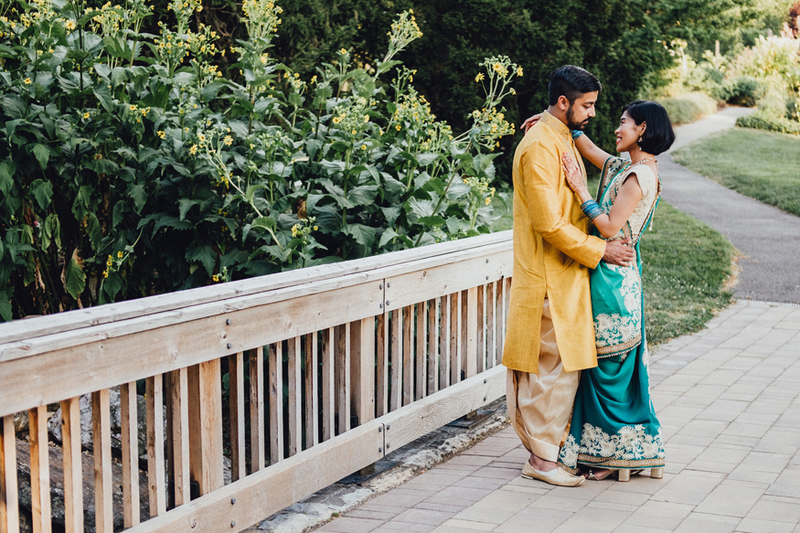 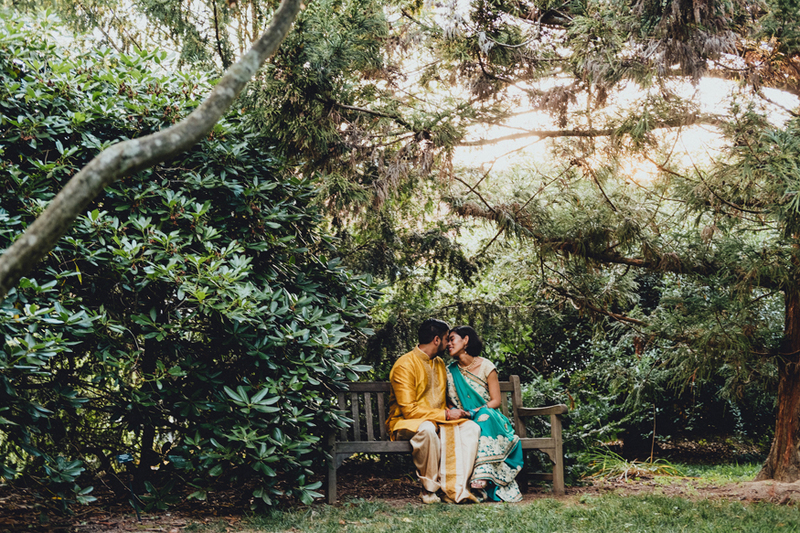 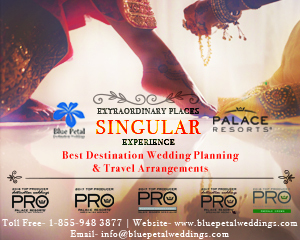 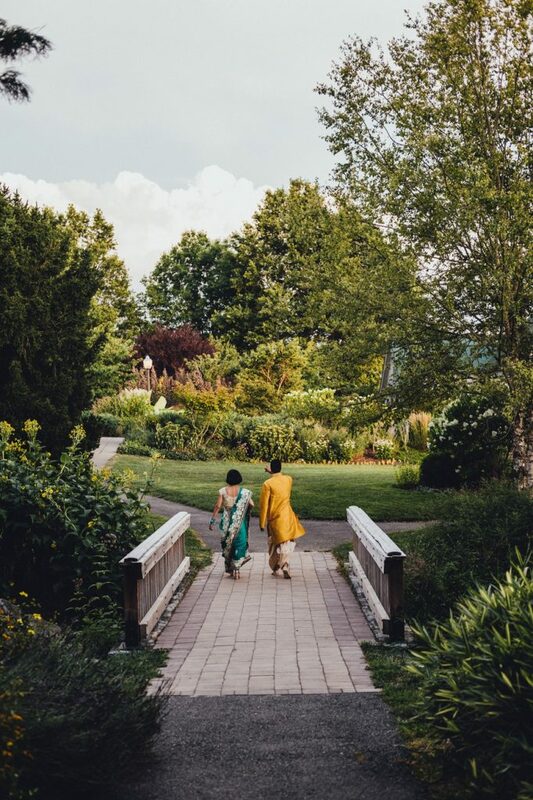 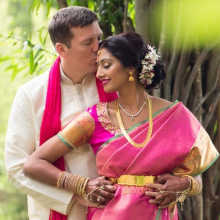 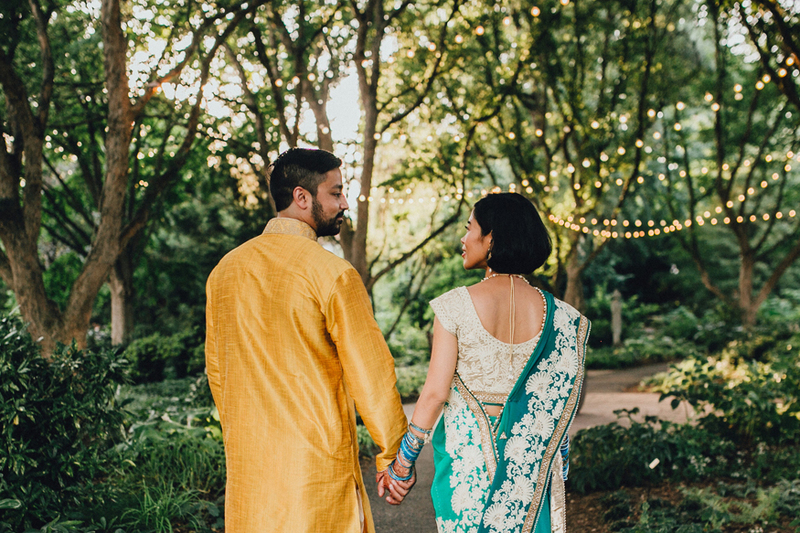 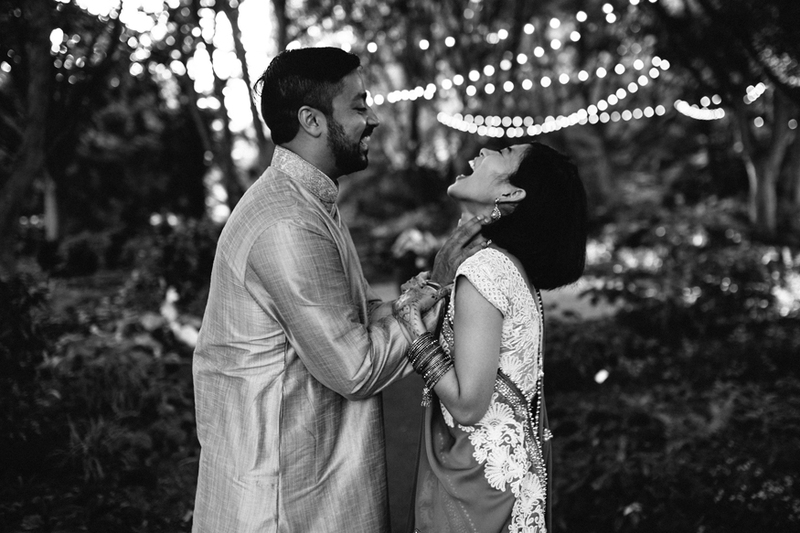 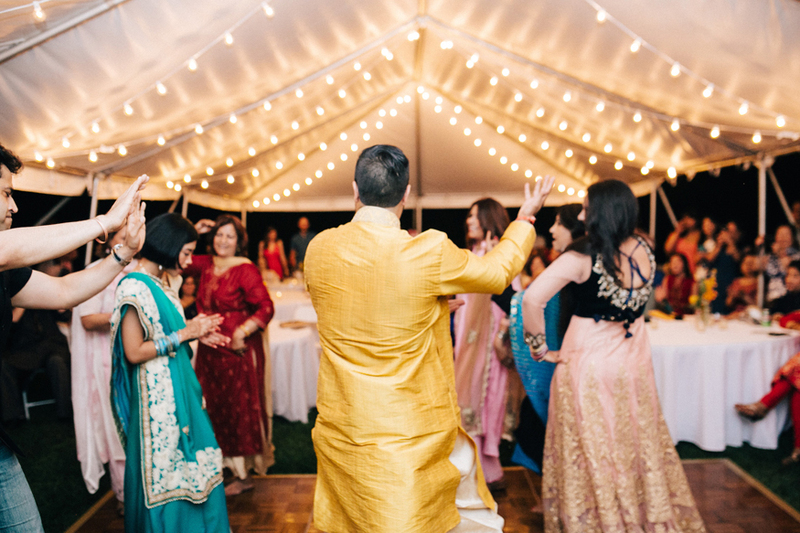 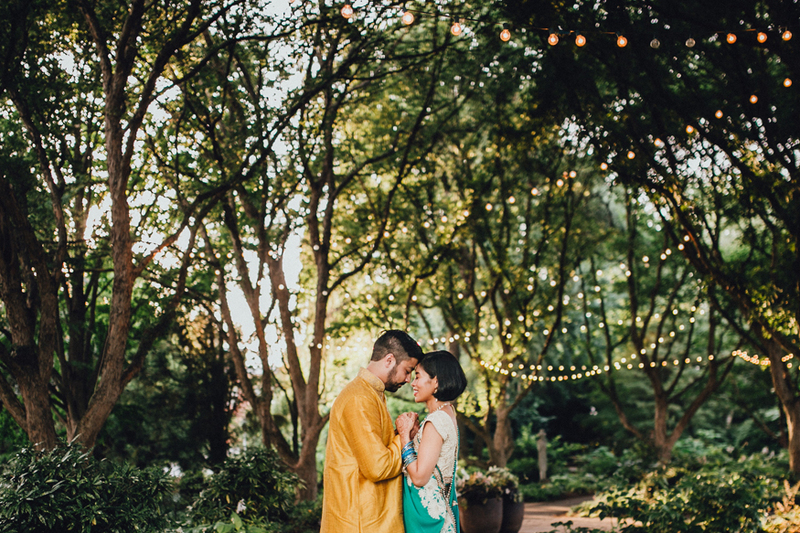 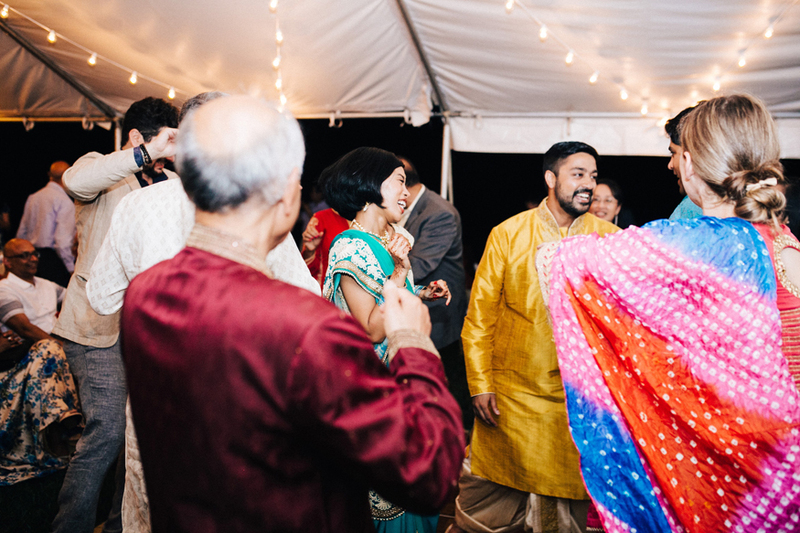 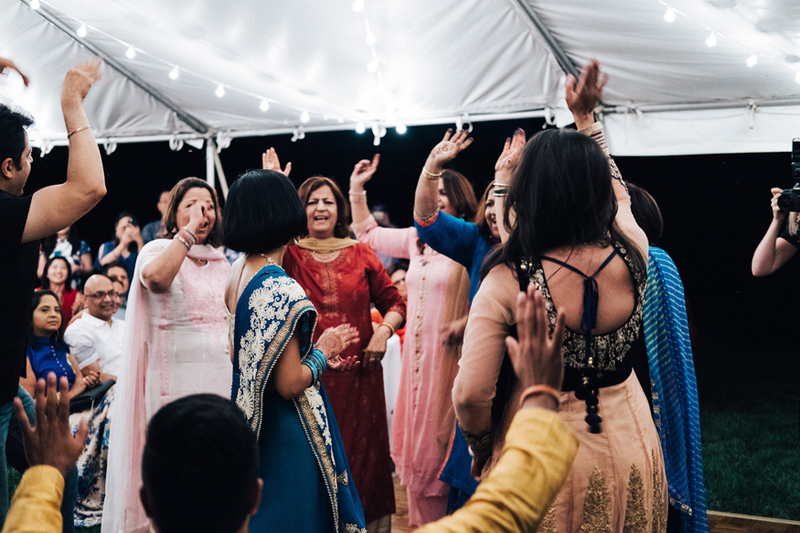 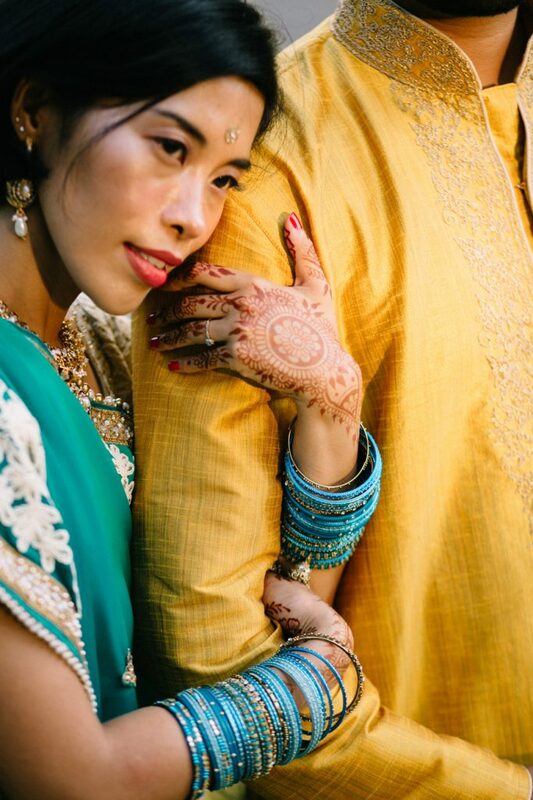 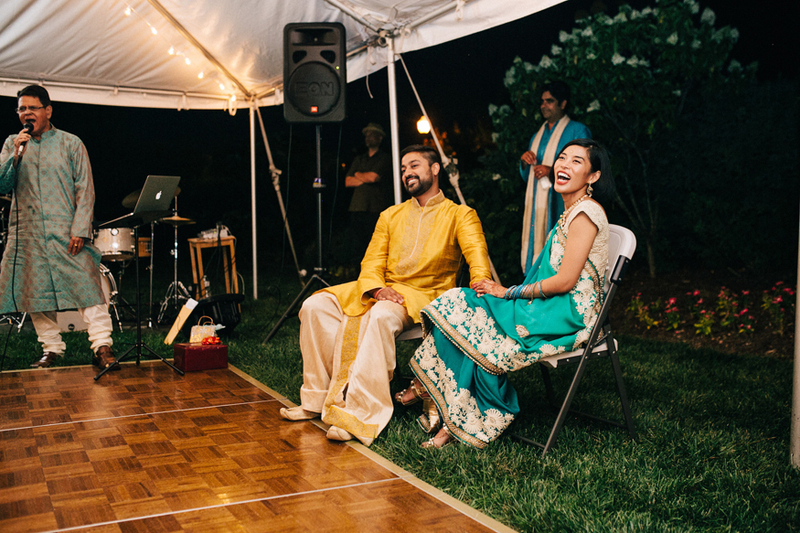 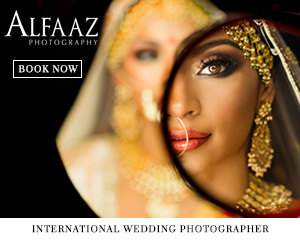 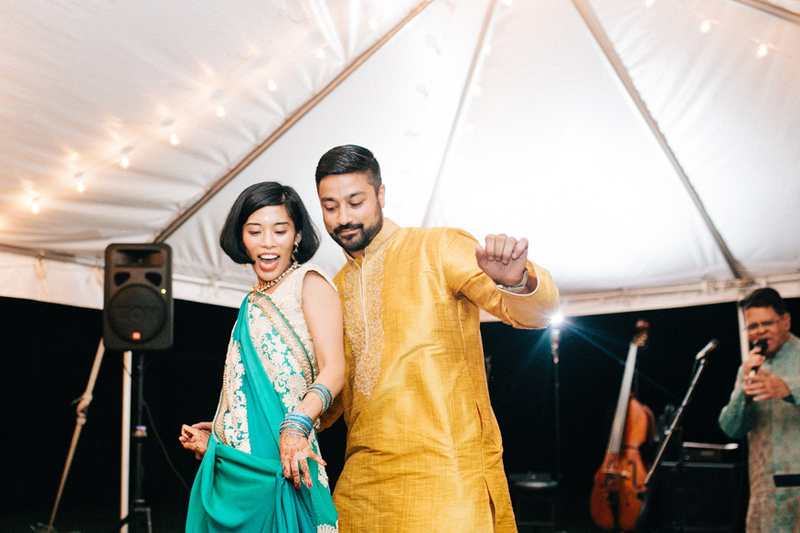 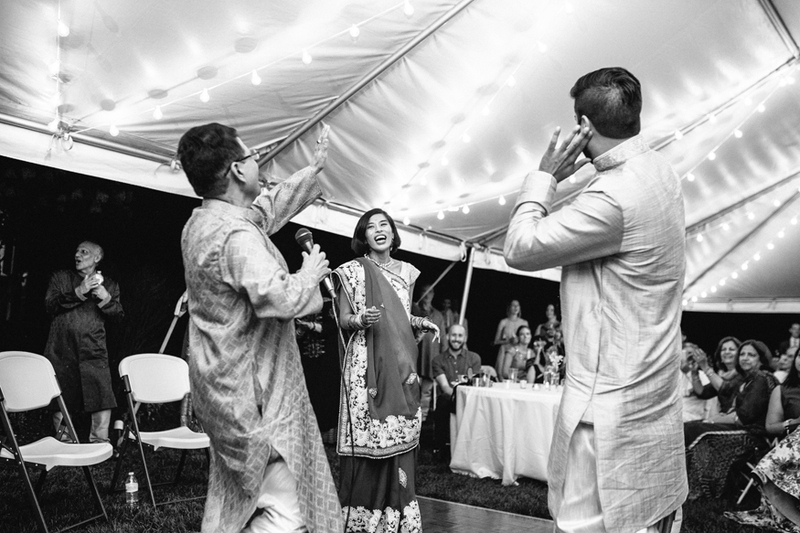 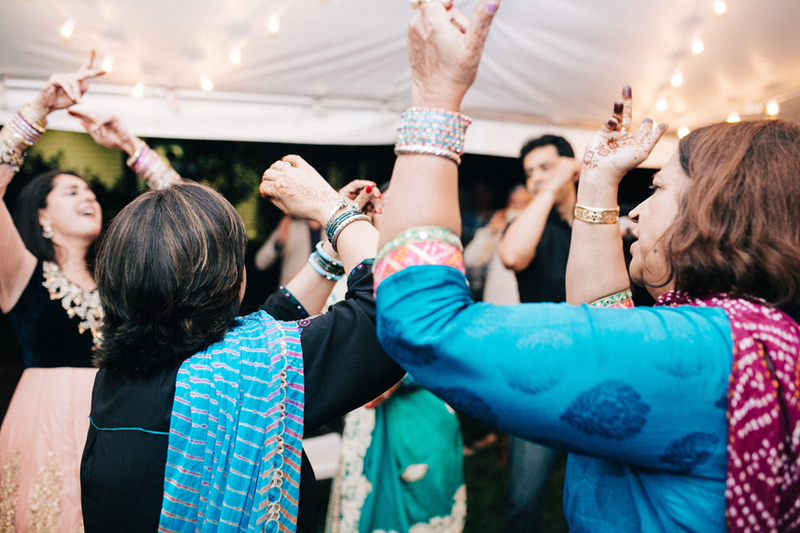 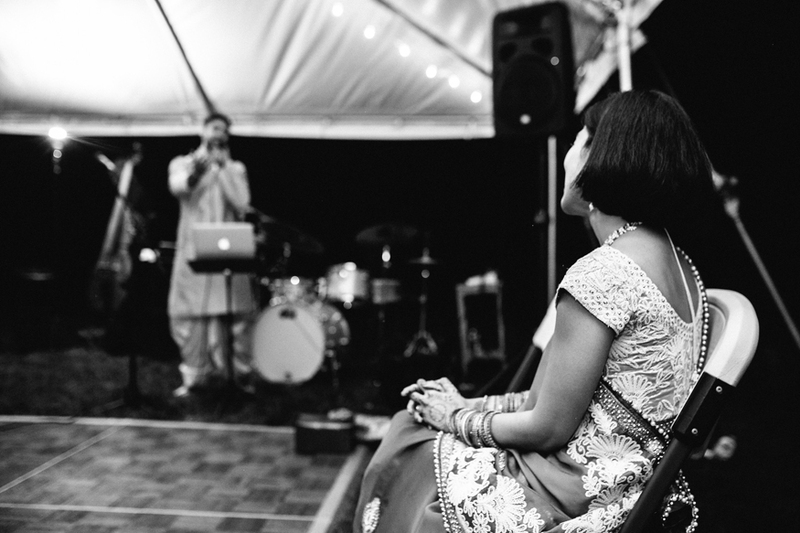 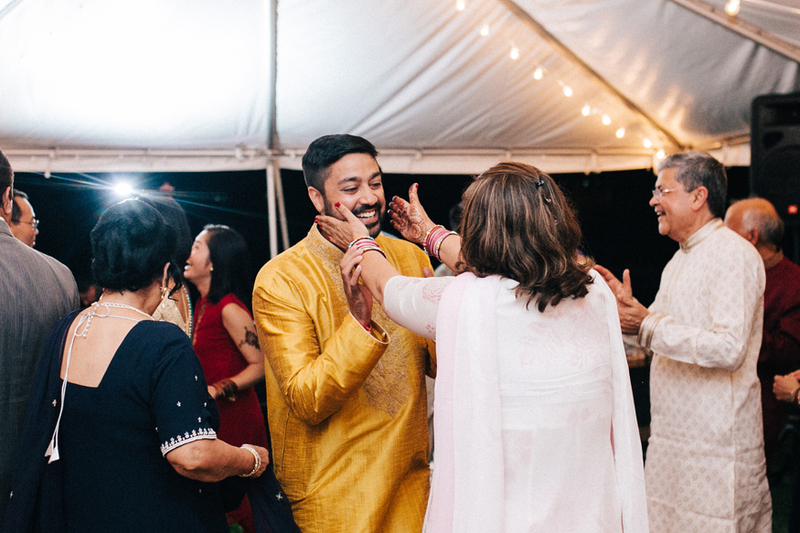 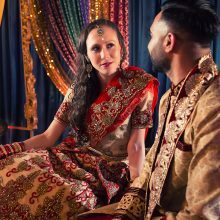 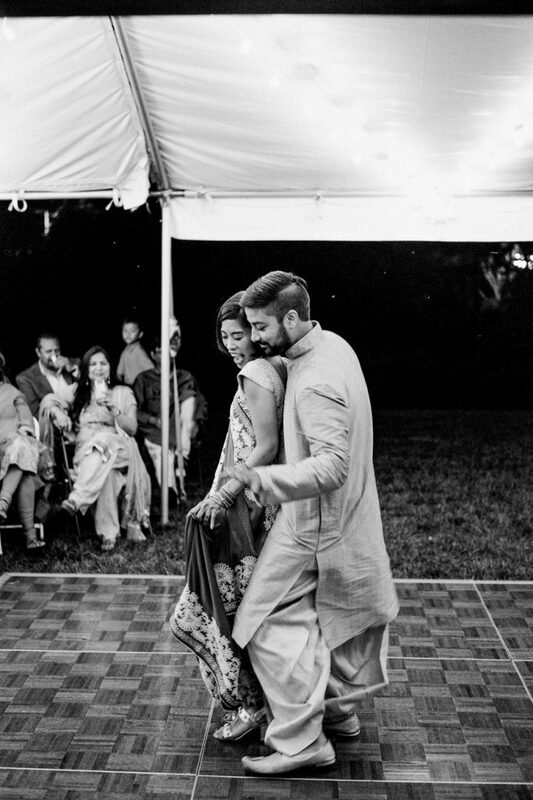 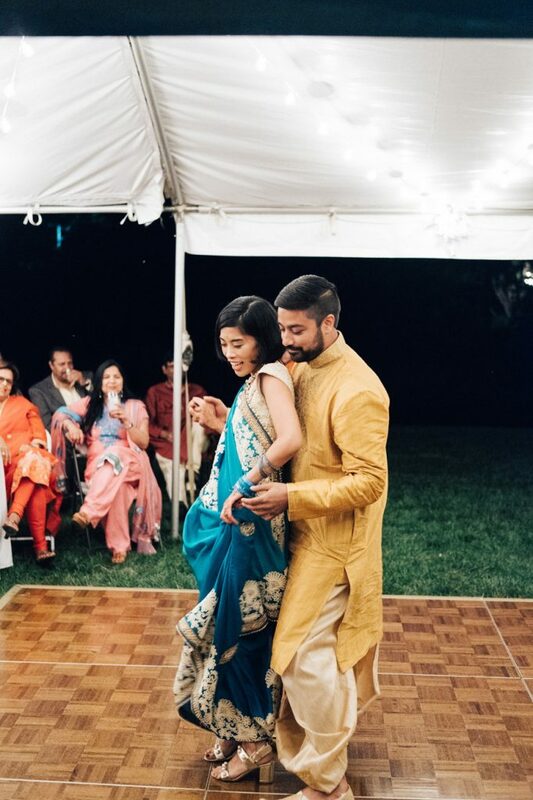 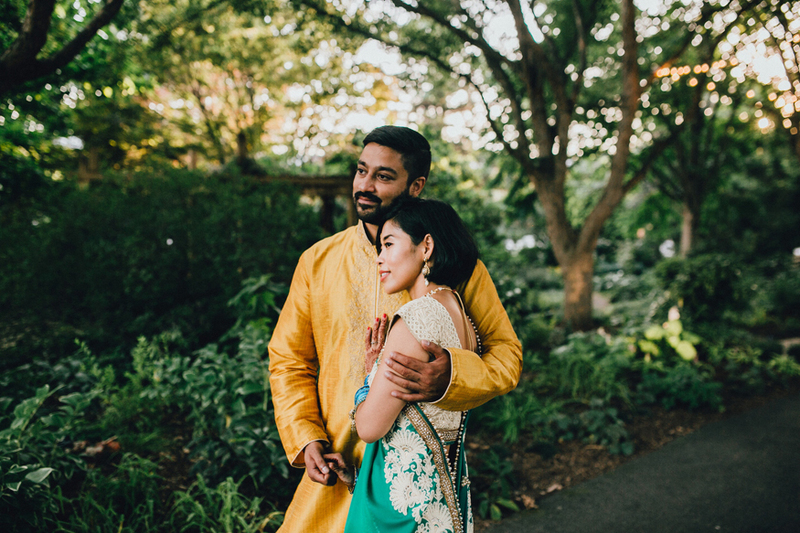 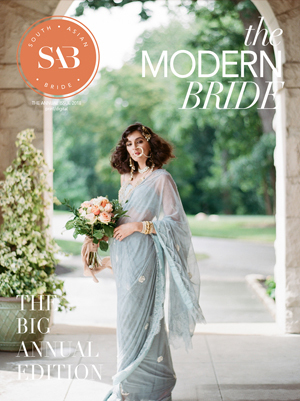 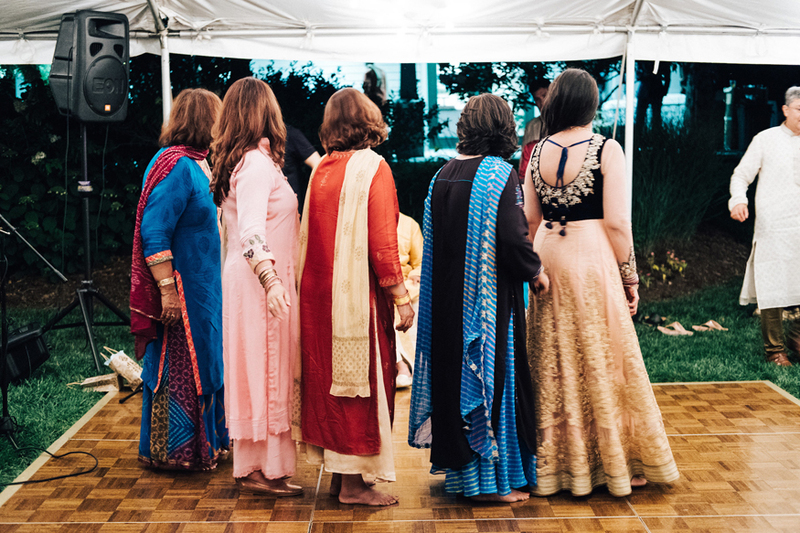 With the Sangeet being the kick off of an amazing weekend, Danielle and Rohan knew they wanted to make it something special. 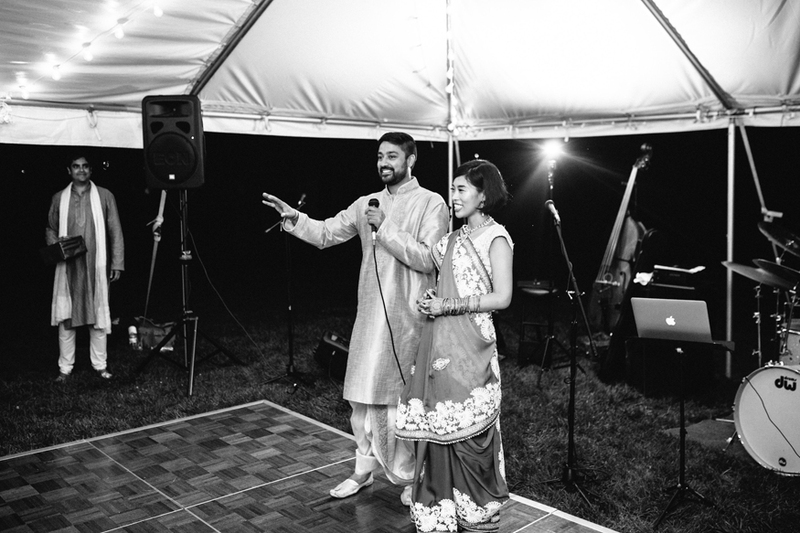 They wanted to introduce their two cultures and families in a laid back environment. 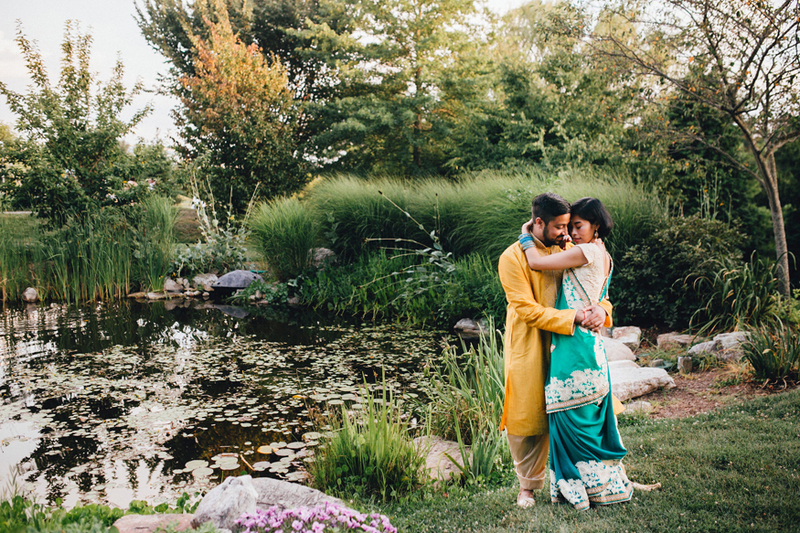 The Hahn Garden provided just that. 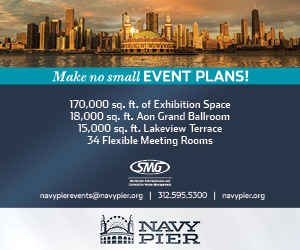 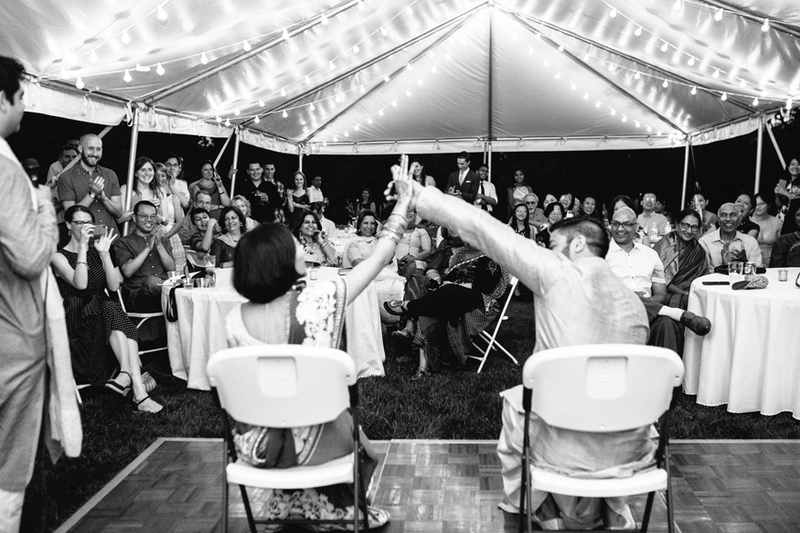 With the bistro lights and open space for lawn games, they were able to host the laid back event they were hoping for. 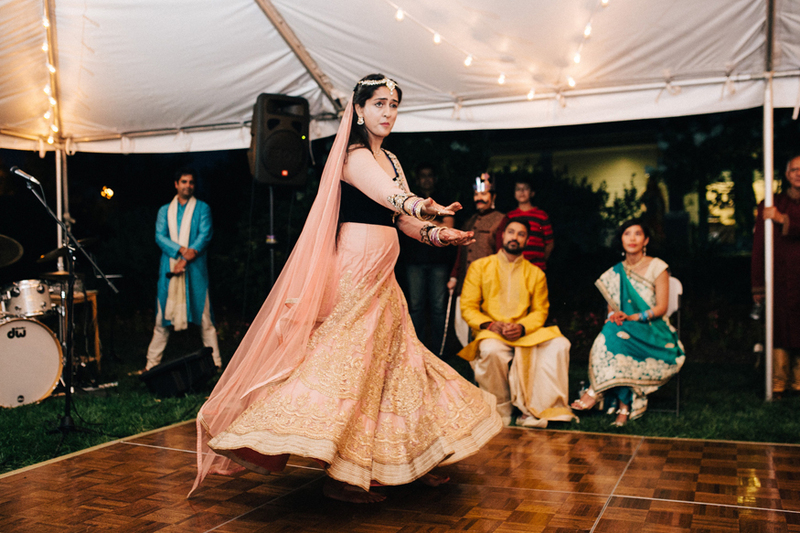 The traditional program took place during the evening, providing guests entertainment from the Hindu culture. 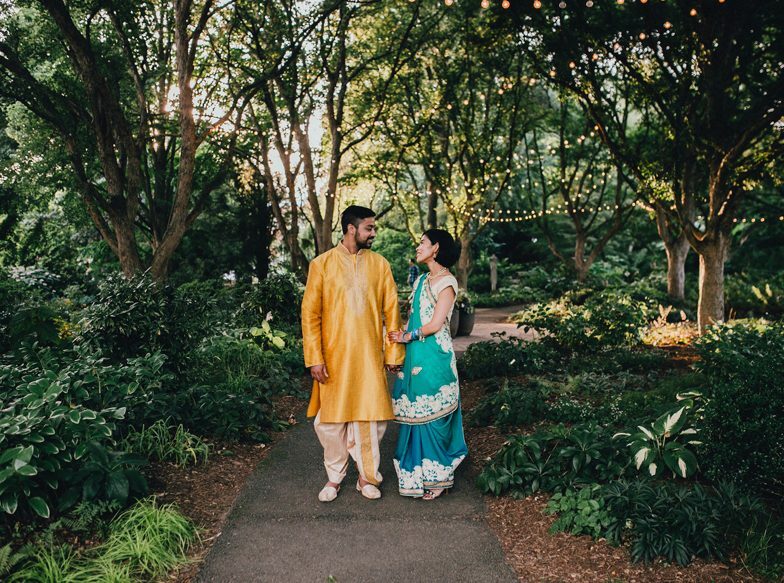 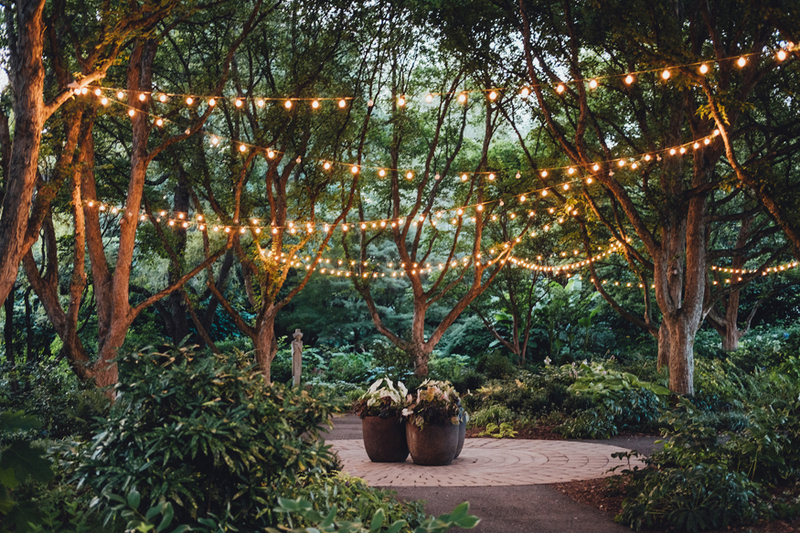 The bright colors in the attire and simple centerpieces from the Moss and Rose accentuated the natural backdrop of the Hahn Garden. 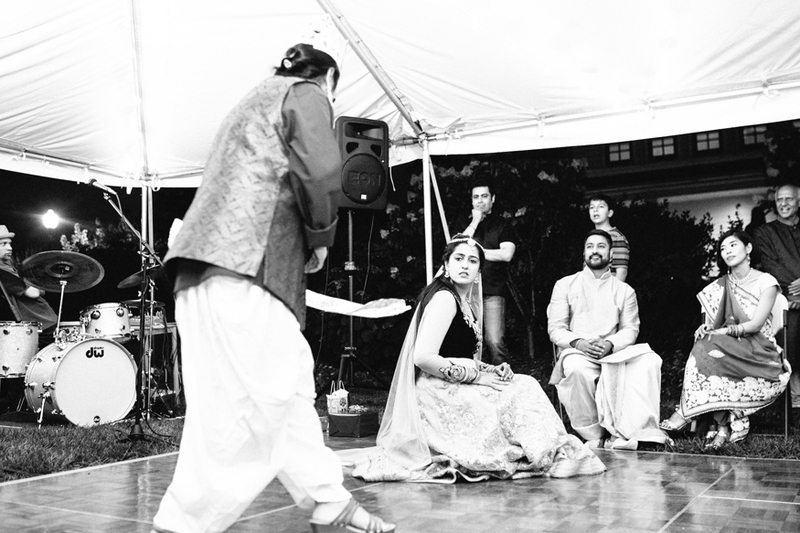 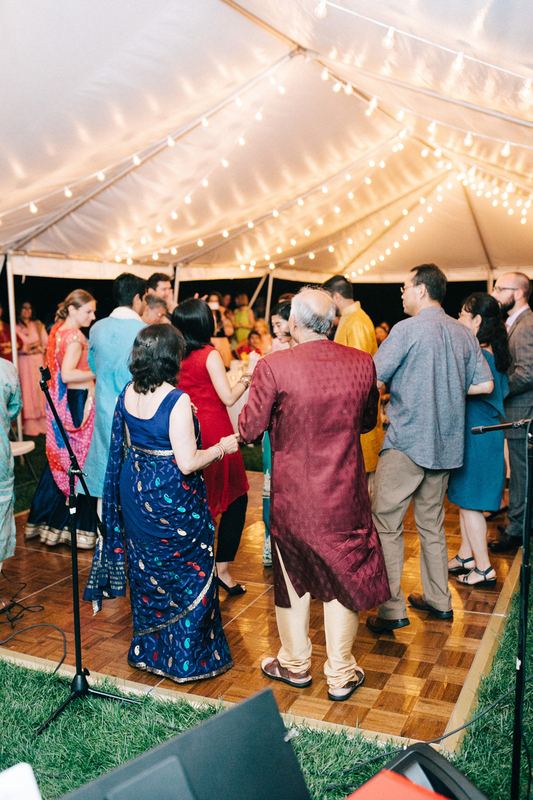 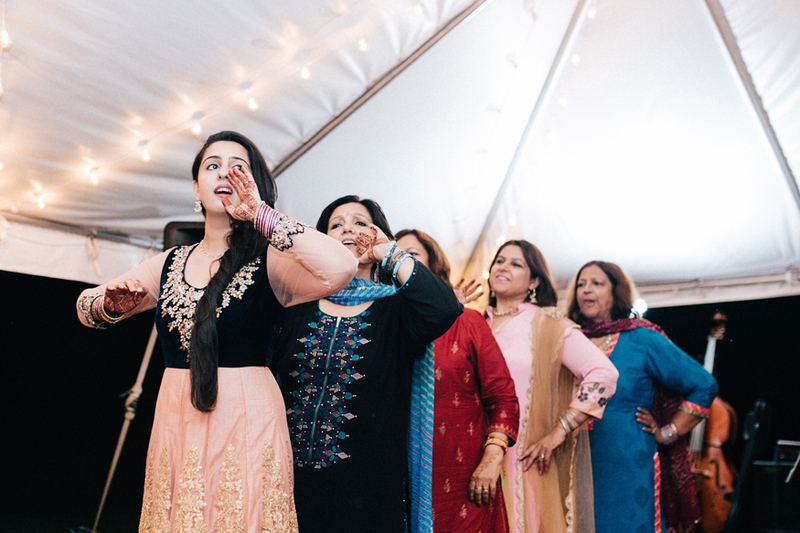 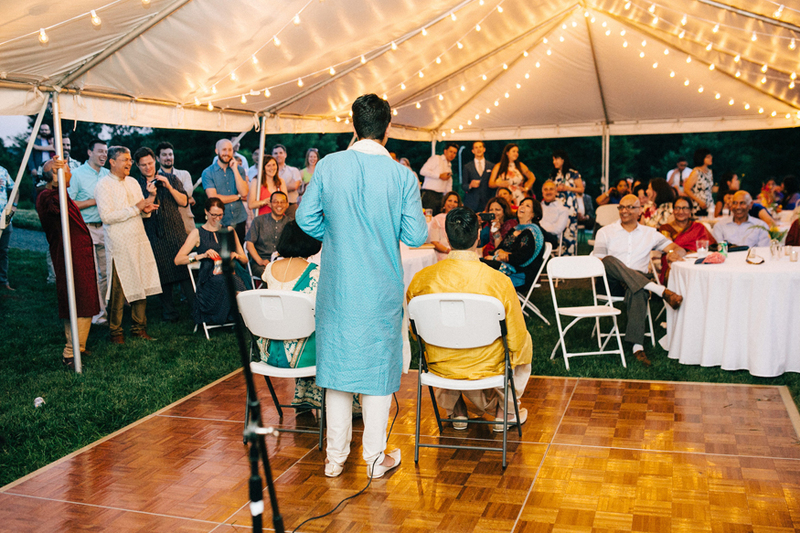 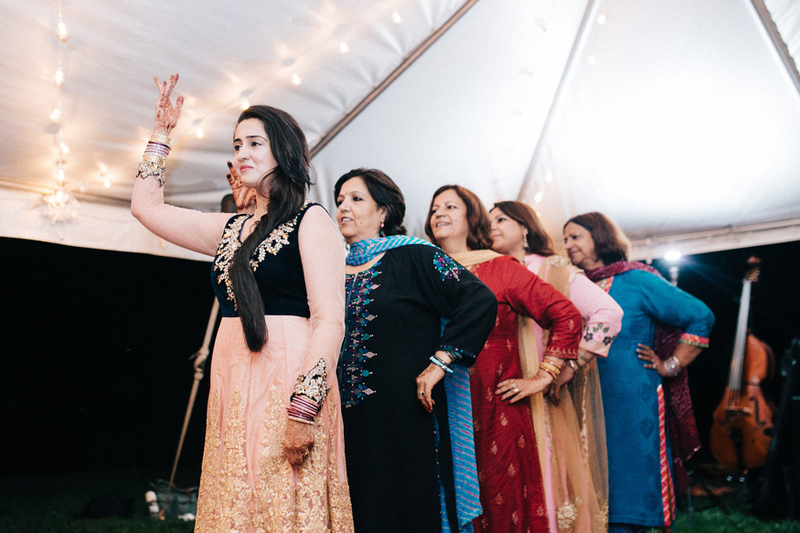 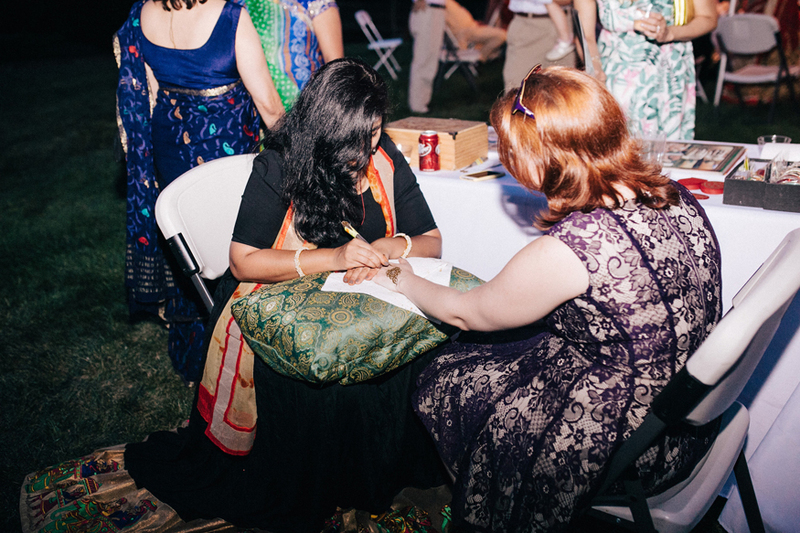 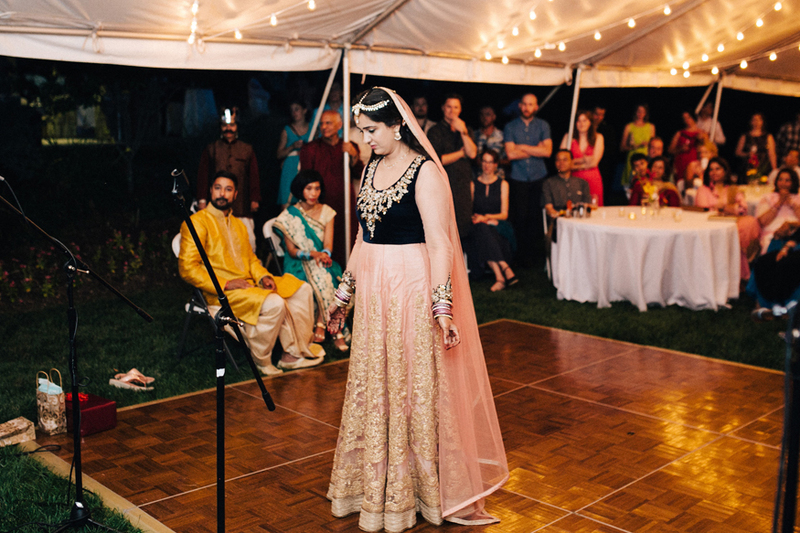 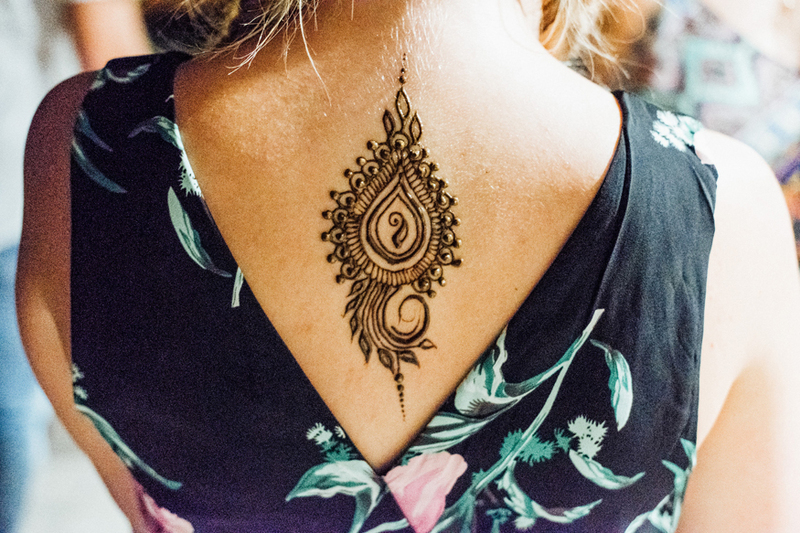 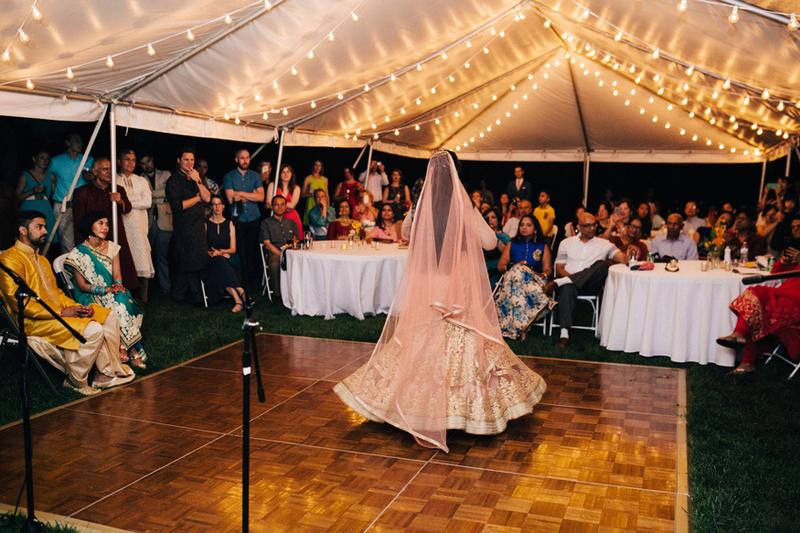 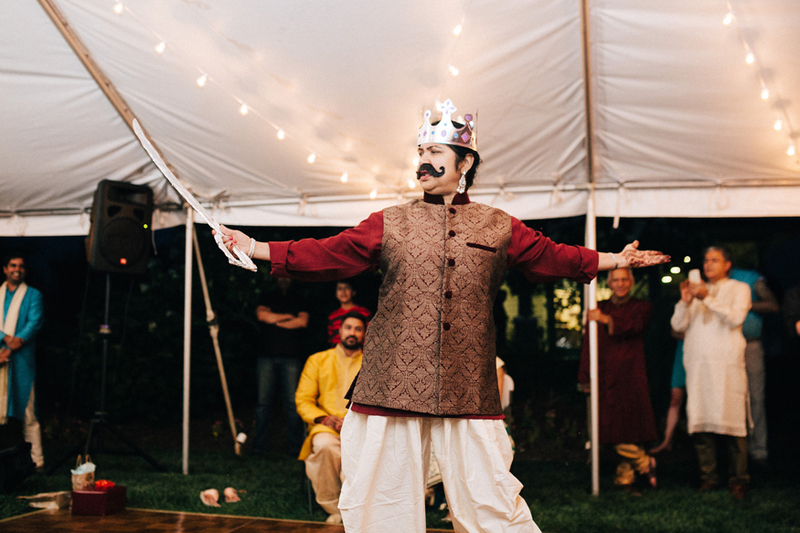 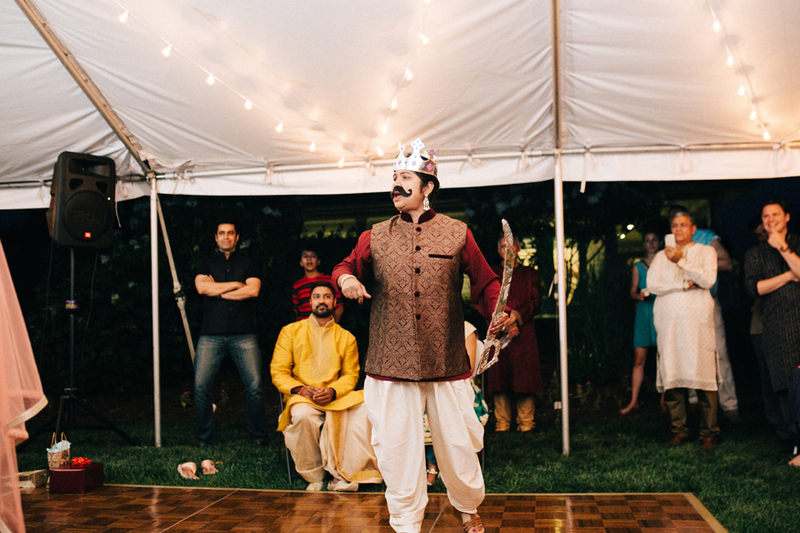 Along with the Henna artist, lawn games, and live music guests were entertained throughout the night.